As you know Bing is the second most used search engine after Google. Many people still use this search engine today because of the great results it gives out. This amazing software will help you get your website on the first top pages so that your website can be exposed to more people . Getting on the first page of Bing is more easier than getting on the first page of Google since its algorithm is different, so that means you can take the advantage by using this incredible software to achieve your goal. 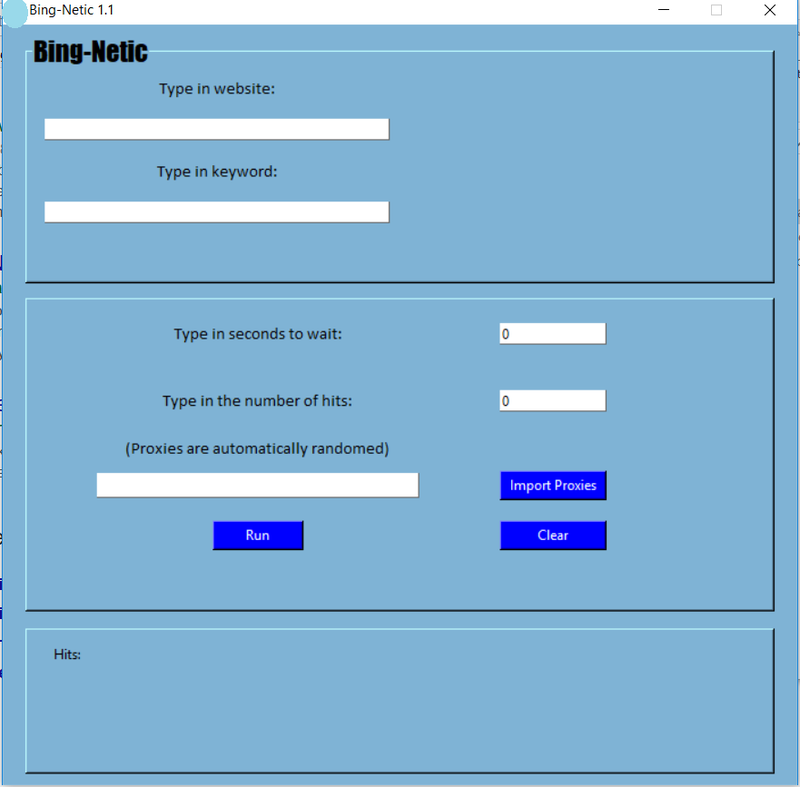 This software communicates with Bing in a special way that lets the search engine think that your site is popular after running the software a few times a week. By being on the first page means more people will see your website, more conversions, more money earned and a successful business. To get a fresh list of updated proxies to use with the software for more better results, you can check out my proxy list service from my homepage. Please note: Only run the software 2-3 times a week per website. Make sure you have some backinks for your keywords to rank for them. The backlinks must be indexed in Bing before they can be detected. Get this software at this great offer before it goes back up! 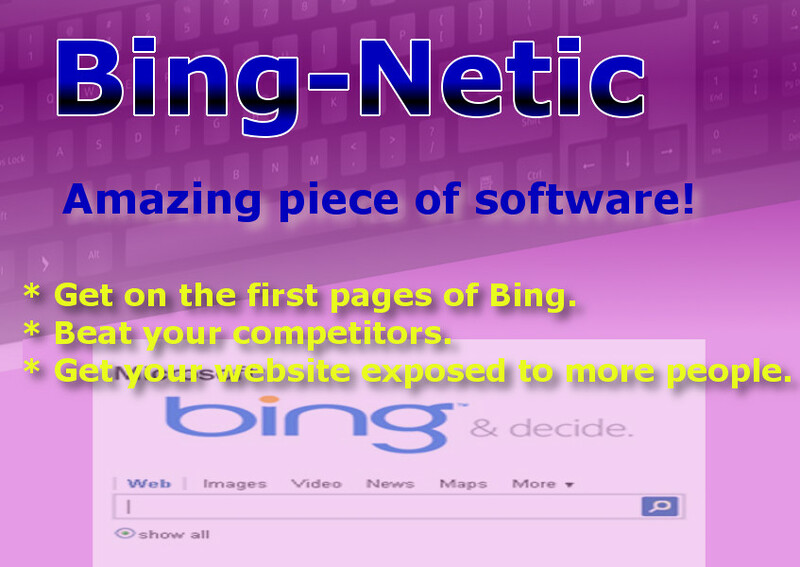 Get on the First page of Bing with this magnificent SEO software is ranked 5 out of 5. Based on 6 user reviews.